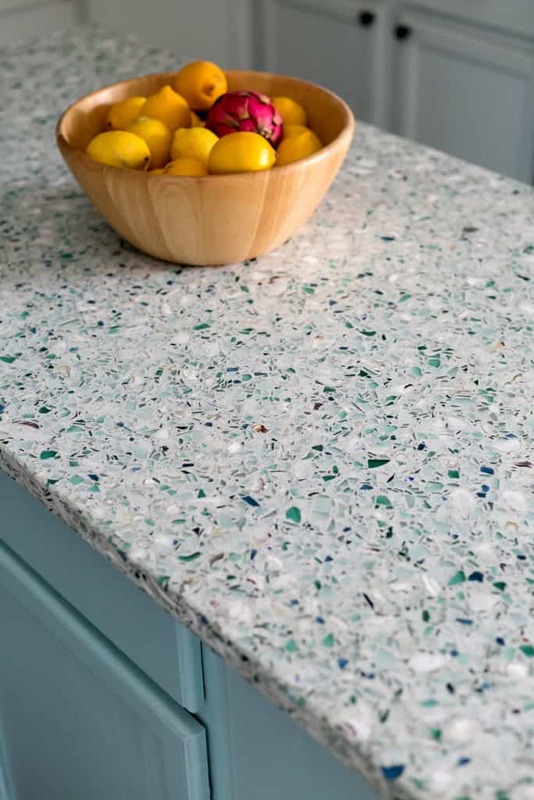 It is hard to believe that it has been one year since we had our recycled glass & oyster shell countertops installed. To mark the anniversary, we wanted to write a post and check in with y’all about how they are doing and how we feel about them. 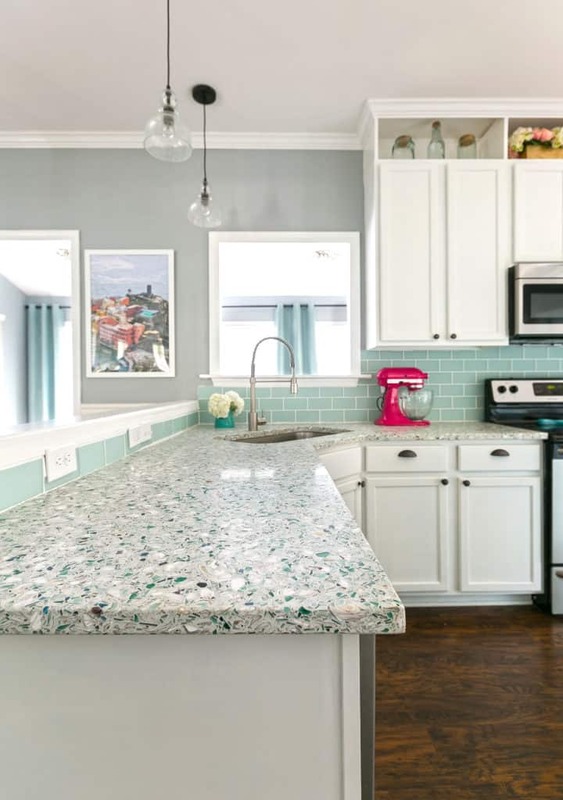 All photos in this post were taken by Patrick Brickman for Charleston Home & Design Magazine. 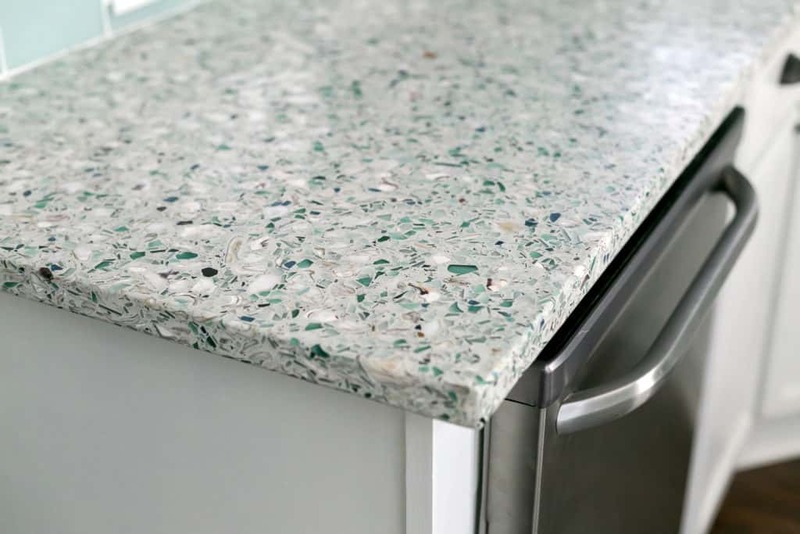 Why did we get recycled glass counters? How much did they cost? Where are they from? What was the process? We answered all of the how and why questions in this blog post! How are they holding up after a year? Is there any staining? No. We 99% of the time wipe up after ourselves, but there have been occasions where things have sat on it over night. Nothing as drastic as red wine, but we have had zero problems with staining. Are there any chips? No. If you run the pad of your finger over the counter, you can find some very small (pin point sized) almost like bubble holes. They have always been there and are not new. Contrary to what some people on facebook try to tell me ( 🙂 ) no glass or shells have fallen out. 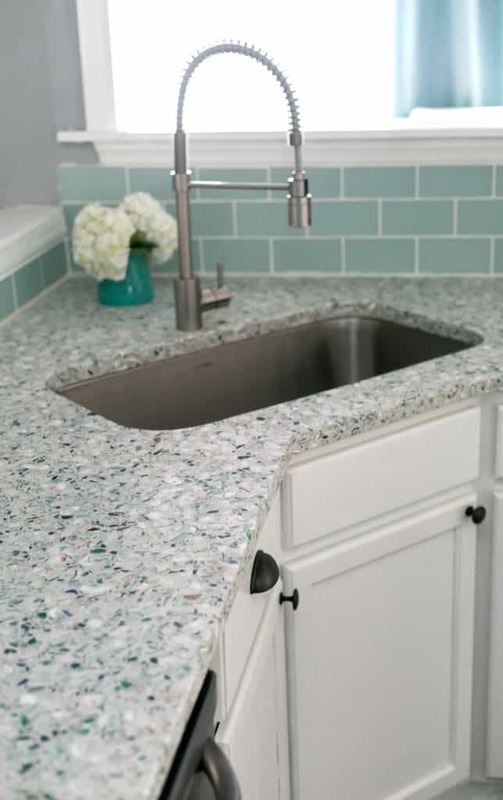 Would we do these countertops again? 100%! I love them because they are beautiful, unique, and interesting. They are sustainably made and the look is right up my alley. The only negative was the cost (which you can read about here) but they were our one kitchen splurge, we didn’t go into debt for them, and they resulted in our kitchen being featured in a magazine. I would 100% do it again. If I did another room (ahem, Sean, our bathroom!) I’d love to experiment with a slightly different look, such as bigger pieces of glass or different shades of blue, just to mix it up. We will just have to decide when we get to those renovation projects if it is the right fit at that time! 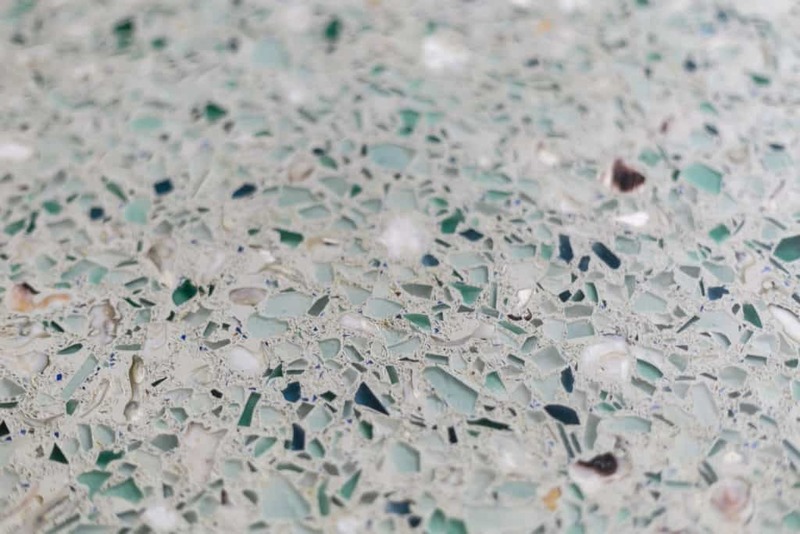 Do you have any more questions about our recycled glass and oyster shell counter tops?